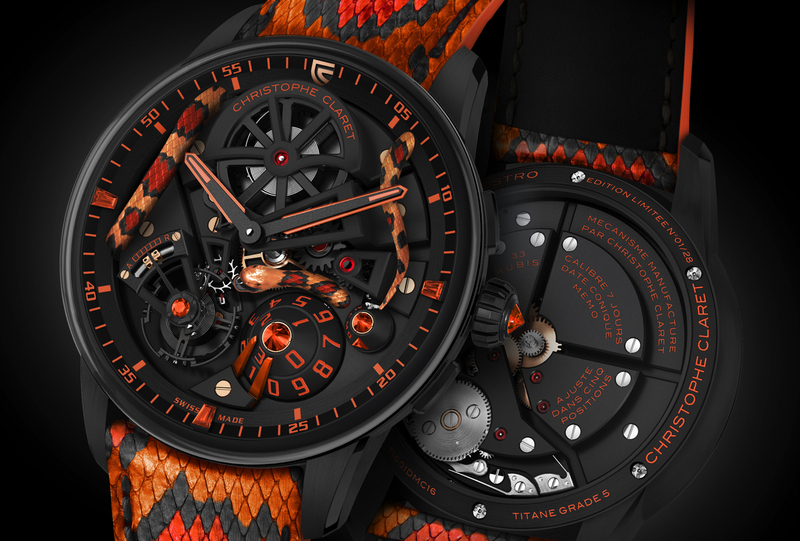 Christophe Claret recently introduced a new chocolate version of their X-Trem-1 timepiece. 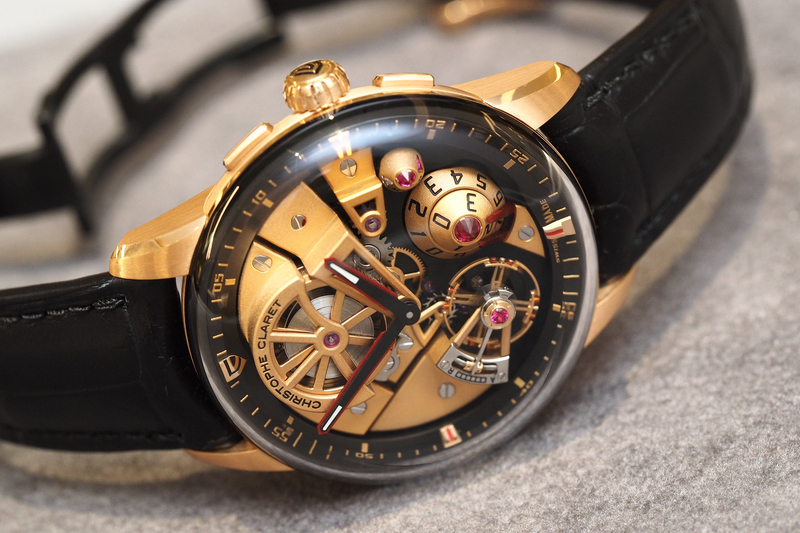 It features a red gold (5N) and grade 5 titanium case treated with chocolate-colored PVD, and is paired with a brown alligator leather strap. 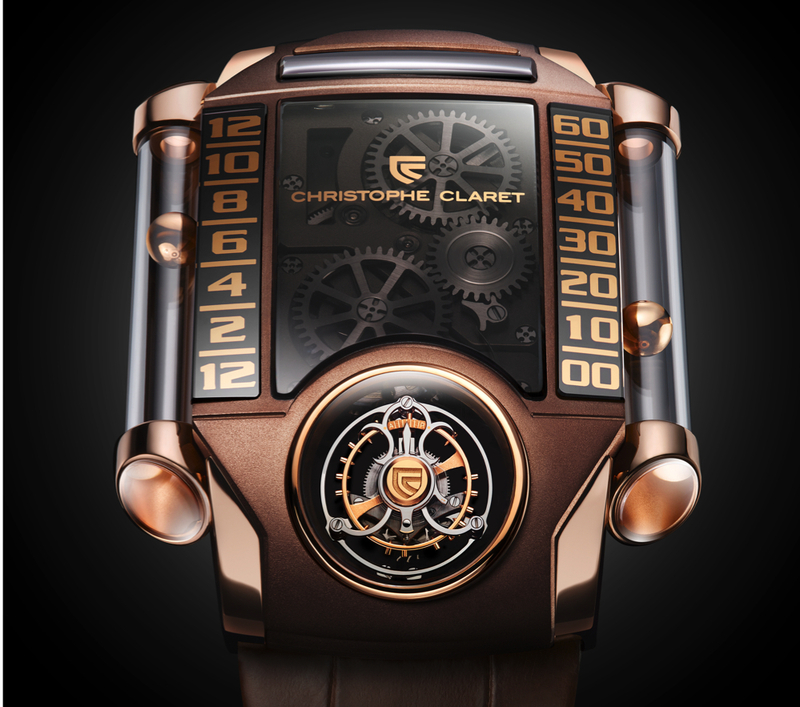 According to Christophe Claret, “X-TREM-1 displays hour and minutes by means of two tiny hollowed steel spheres isolated within sapphire tubes on both sides of the caseband. The whole mechanism is revolutionary: the two spheres – which appear to be floating in their respective tubes – are controlled by magnetic fields generated by two magnets moved by ultra-thin surgical silk thread. 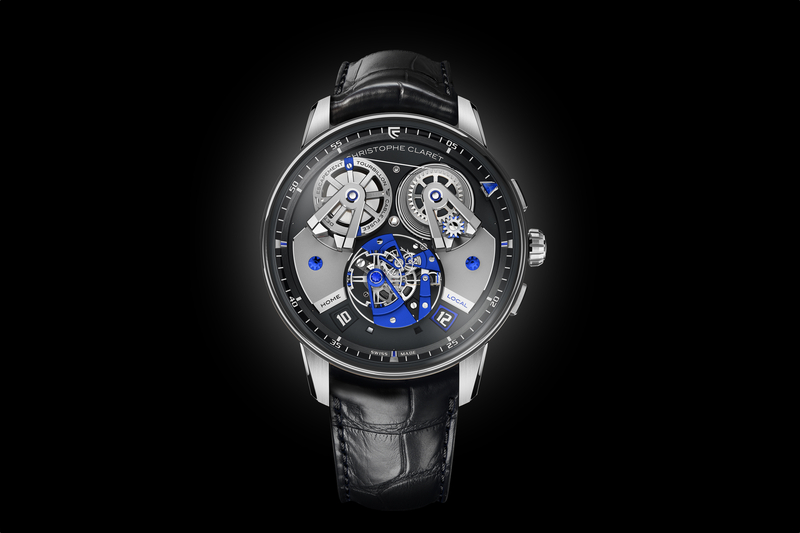 The X-TREM-1 Chocolate is equipped with a flying tourbillon, which is inclined at 30° and mounted on a convex titanium main plate. It is available in a limited edition of eight pieces.